Why should I participate in this ornamentation project campaign? Ornamentation project improvements to Wheaton Park will provide social, recreational, and economic benefits to our residents/non-residents and help make our township more attractive to new citizens and businesses. Fundraising campaigns offer the community an opportunity to make a donation, memorial gift, or in honor gift with long lasting benefits to our area. By allowing for resident/non-resident and community donations this brings a sense of community ownership to this project, unifying our commitment to the park. What is the Wheaton Park? The Wheaton Town Park is located on the same property as the Wheaton Fire Station consisting of 63.7 acres. 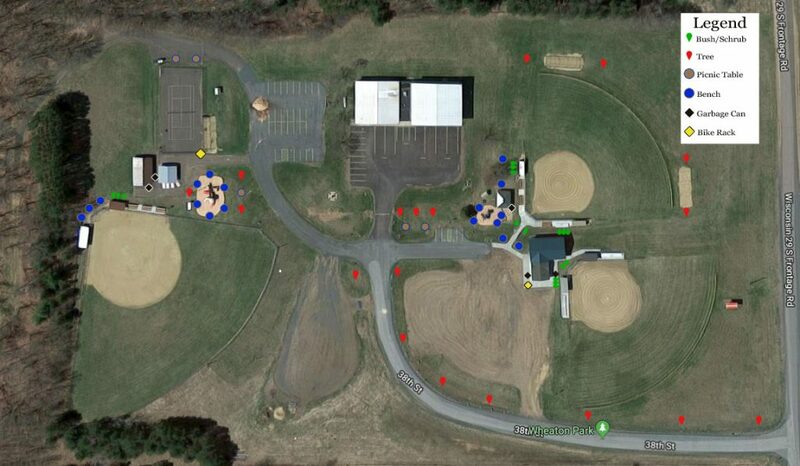 What activities and events can be held at the park? Baseball tournaments, tennis, non-profit fundraisers, social gatherings, reunions, graduation parties, ice skating, sledding, and hiking. What are the established recognition levels for donations? Bush ($50), Shrub ($100), Tree ($200), Picnic Table ($350), and Bench ($500). What are the estimated costs of Phase 1? What are the estimated costs of Phase 2? *Please Note: Phase 2 will not start until Phase 1 is completed and the upper concession building/pavilion work is completed. When is the ornamentation project scheduled to be completed? Is there a map showing where donations would be located? An ornamentation project map of Wheaton Park showing approved locations for the different Phase 1 and 2 items is posted at Wheaton Town Hall, Wheaton Park Concession Building, Town of Wheaton Website, and Wheaton Parks and Recreation Facebook page. Who is managing the ornamentation project campaign? The Wheaton Parks Commission will be managing the ornamentation project campaign. What is the Town of Wheaton’s commitment? 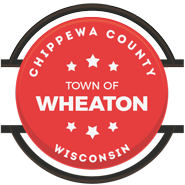 The Wheaton Parks Commission has applied for previous grants to do various park improvements. The Township is committed to improving the park by allocating annual budget funding for repairs, maintenance, and improvements. Contributions are tax deductible to the extent allowed by IRS standards. A receipt will be issued for contributions. Questions regarding the best tax impact for your specific donation should be referred to your tax advisor. All contributions will be recognized on a donor board unless otherwise selected to remain anonymous. For any additional questions, please contact any Wheaton Parks Commission Member.